China has taken actions that have provided risk to the American people, United States Secretary of State Mike Pompeo said on Friday, alleging that Chinese have been 'bribing' leadership in countries to bag infrastructure projects. 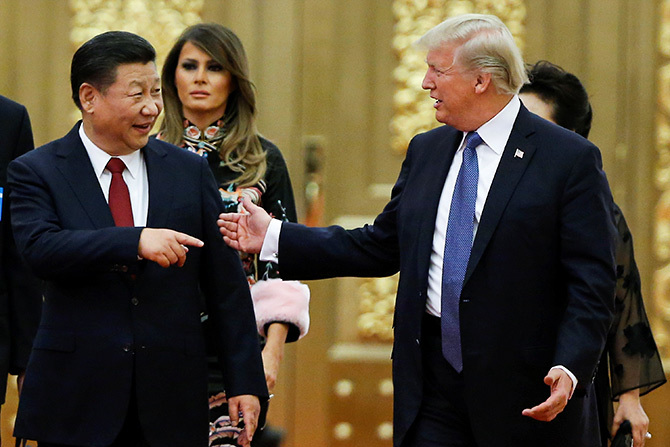 "I think if you go look at (Chinese) President Xi's (Jinping) stated intentions, you can clearly see that China has a plan that is different than the one that they had five years ago or even two or three years ago. You see this in their ability to use their money around the world," Pompeo said in an interview with Hugh Hewitt of the Hugh Hewitt Show. Pompeo said that he has spoken about this repeatedly. "I spoke to it when I was in Panama and I travel the world. "I remind countries we welcome commercial competition with China on a fair and reciprocal basis, but when China shows up with bribes to senior leaders in countries in exchange for infrastructure projects that will harm the people of that nation, then this idea of a treasury-run empire build is something that I think would be bad for each of those countries and certainly presents risk to American interests, and we intend to oppose them at every turn," he said. Pompeo said that the US has been consistent with its strategy on China since the beginning of this administration, which is to recognise the competitive nature of the relationship between the two countries, and as China has taken actions that have provided risk to the American people. "Whether that's a risk through the stealing of intellectual property or trade rules that are unfair or activity in the South China Sea or their continued expansion in space and their efforts to develop their military, each of those actions has been met with a strong and vigorous response from the United States of America and we'll continue to do so. "There wasn't a moment, but rather an administration that has recognized the difference in China's behaviour and the requirement for an American response to that changed behaviour," Pompeo said. Responding to a question on reports of imprisonment of as many as one million Uighurs, Pompeo said that these camps are clearly a Chinese effort to reduce the capacity for Chinese people to exercise their religious freedom. "We've seen it in many different forms. We've seen it being more difficult for churches to put crosses on the roofs of their buildings. We've seen religious freedom practices be denied in ways that they had not been in years previously," he said. These are real threats to religious freedom, something that President Trump has directed this administration to take seriously, Pompeo said. "We are not only talking about this where countries are denying religious freedom around the world, but beginning to use American efforts and global efforts to push back against these denials of the most basic human rights.